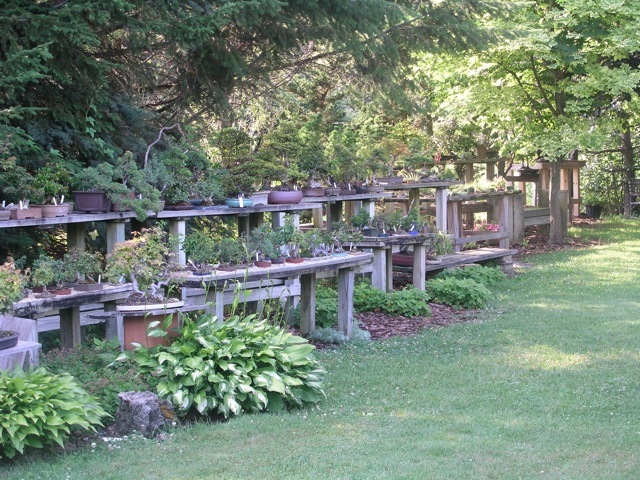 This is my personal collection. 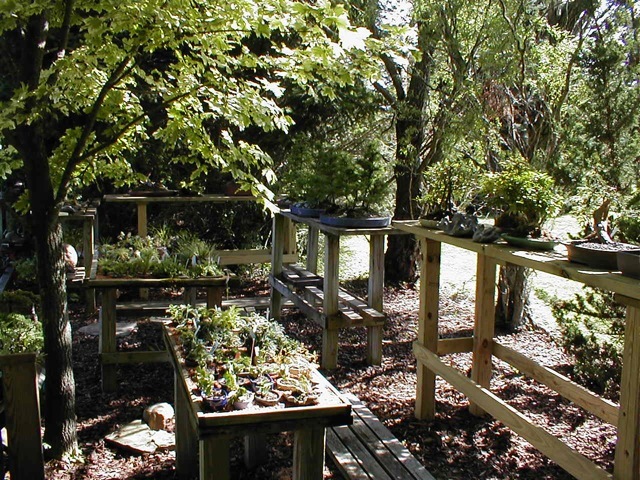 These items are not for sale, but you may schedule an appointment to get a tour. 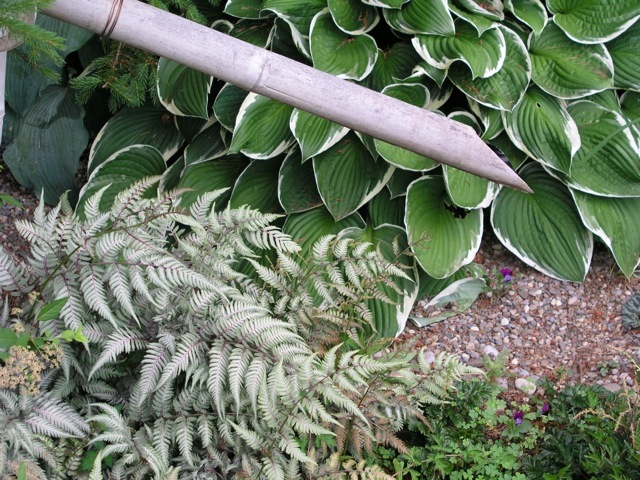 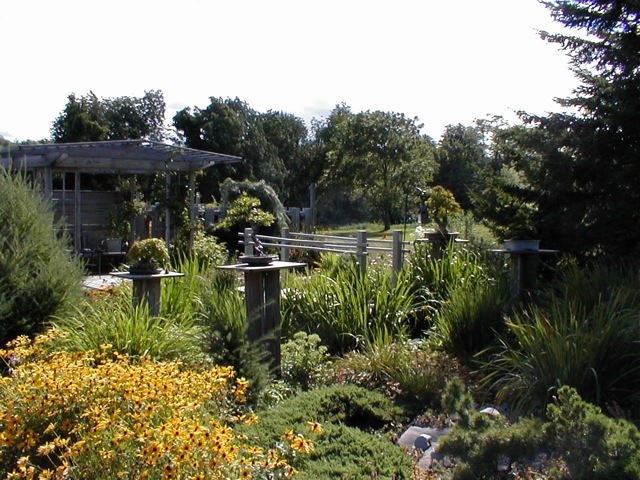 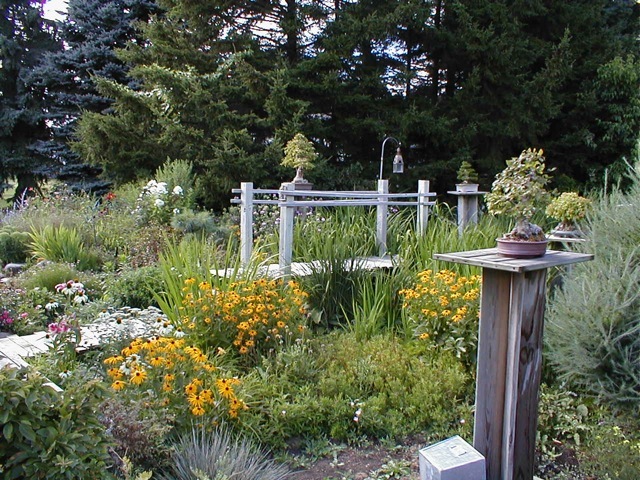 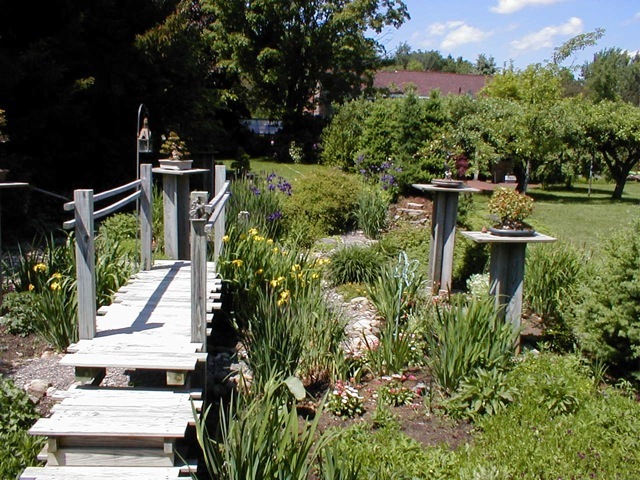 Zone 4 provides the background conditions of bitter winters of ice and snow and short summers in which the gardens flourish. 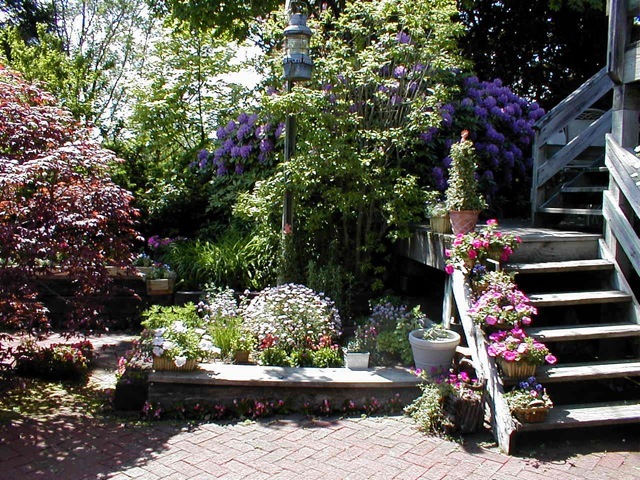 An exposed root pyracantha, Trident Maples over Rock, an a Bougainvilla stand in the August sun. 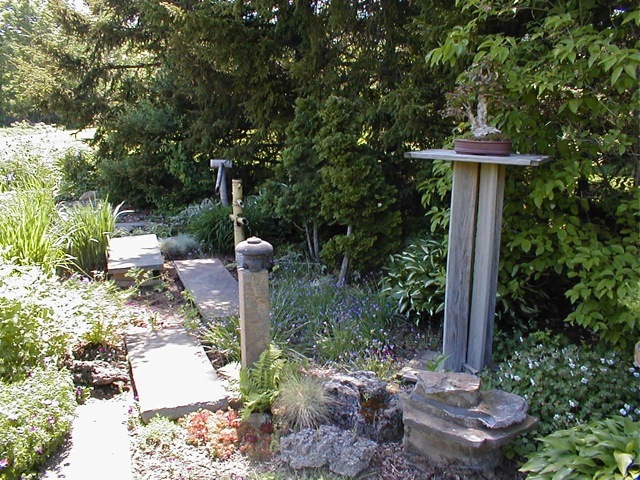 Small bonsai and accessory plantings are kept in moist gravel trays to prevent the pots from overheating in the sun and drying out too quickly. 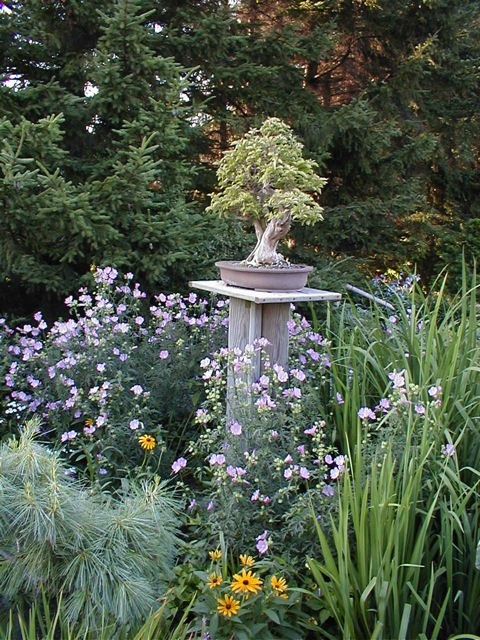 This split trunk Bougainvilla only lives in the garden from June through August and then must be greenhoused. 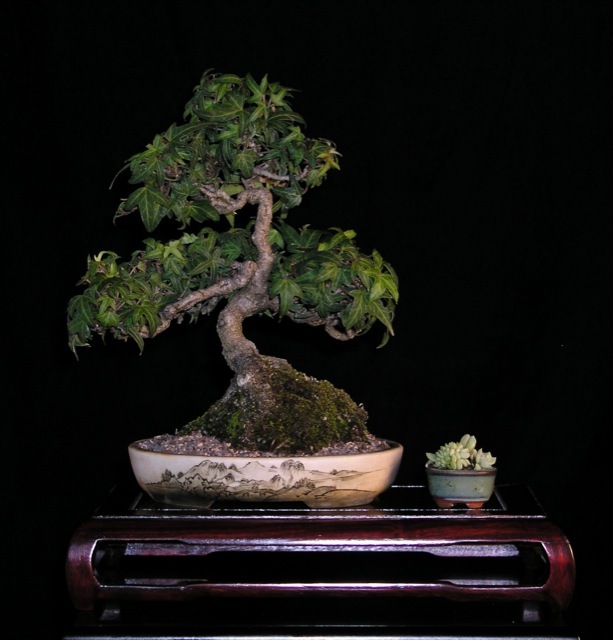 An eastern exposure is ideal for the bonsai collection well protected from the wind. 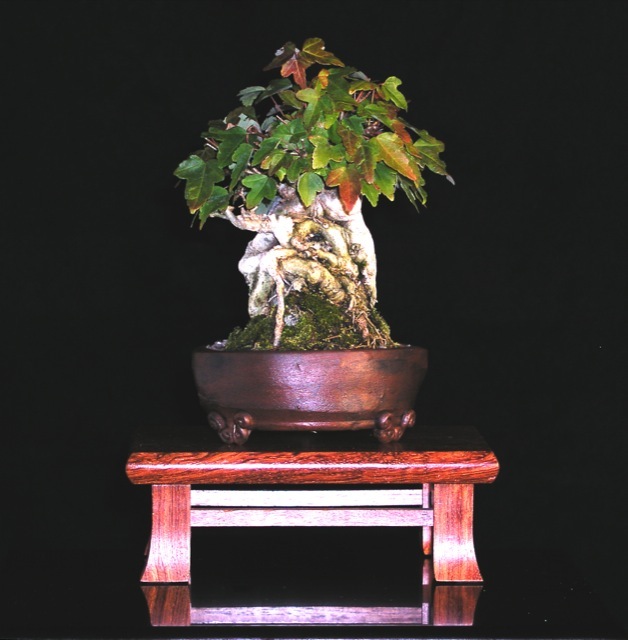 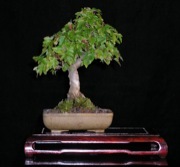 This 10 cm Trident Maple is root over rock in an old Chinese pot. 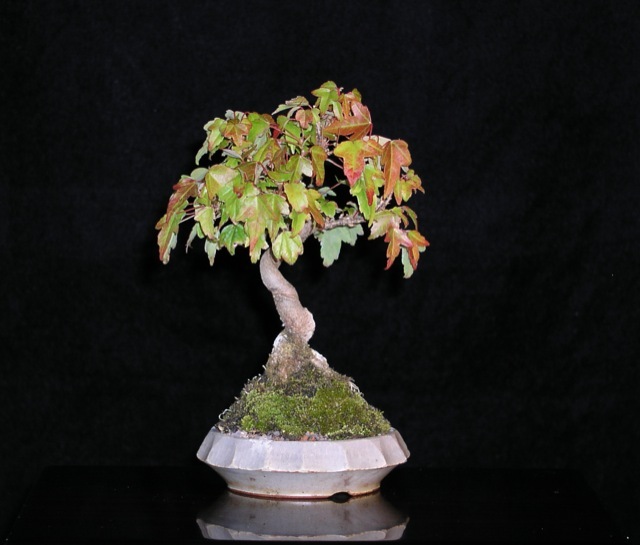 Trident Maple,Tridet Maple over rock,Needled Juniper,and Needlepoint Ivy with collect grass. 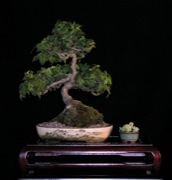 This 15 cm Needlepoint Ivy was started from a cutting and is accompanied by a sedum. 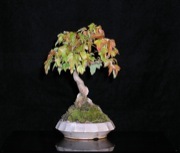 This is a 12 cm Triden Maple. This is a 10 cm Trident Maple shown in a Michael Hagdorn pot. 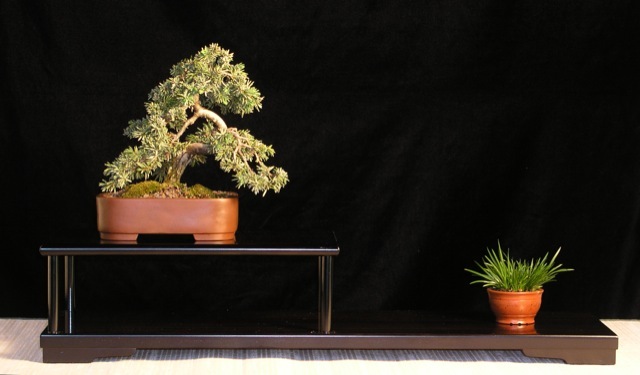 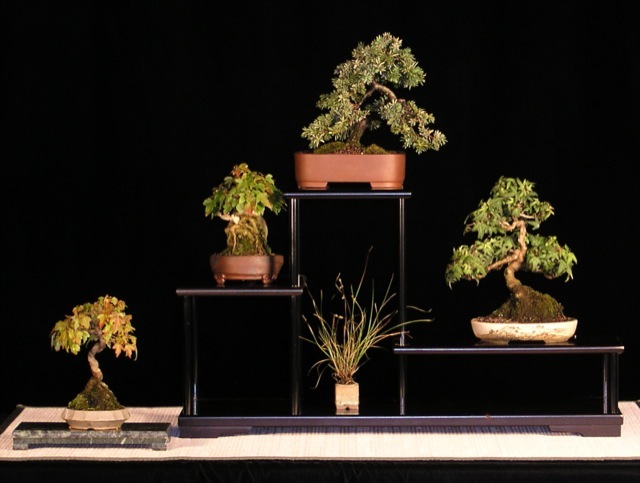 This 14 cm tall Japanese Needled Juniper is displayed with an Acornus grass. 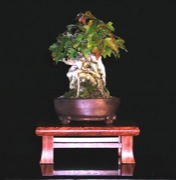 The bonsai is in a Tokonomo pot.